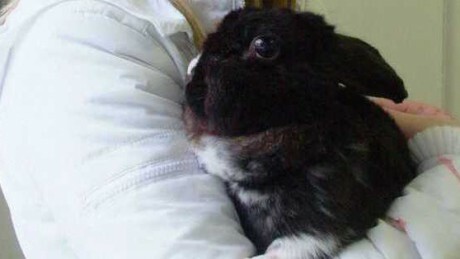 Tom and his girlfriend originally had just one rabbit, Bugsy. 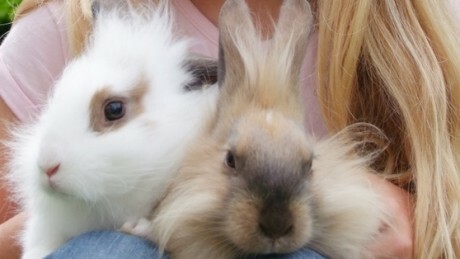 Molly was nine years old when TJ arrived into Marie's household: he was just a baby rabbit, and Molly took to him at once. 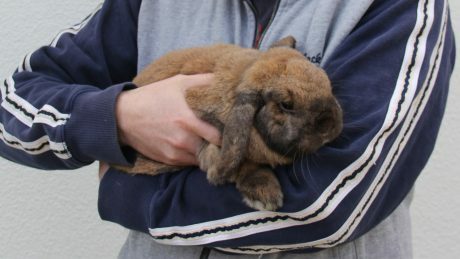 Donal bought his first rabbit last summer: a female called June. 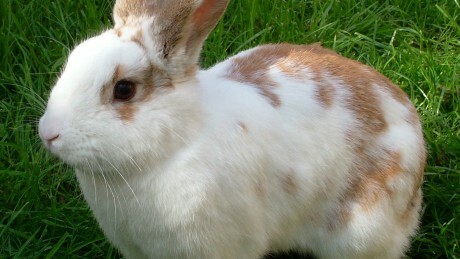 Lily is a free-range rabbit: she is allowed to run around the family's walled-in back garden. 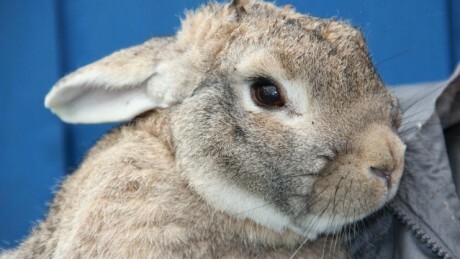 Trent is a 9 year old rabbit who lives a hutch-free life in the back garden. Trent is an independent rabbit. When he was young, he lived in a small hutch, but everyone felt sorry for him, so they made a chicken wire run to give him more space. 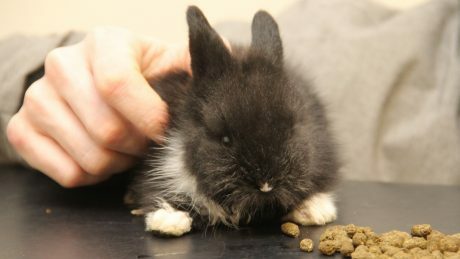 Bongy, a 5 month old rabbit who broke his back leg. When Cameron bought a couple of young rabbits for his children, he expected them to be accident-free pets. 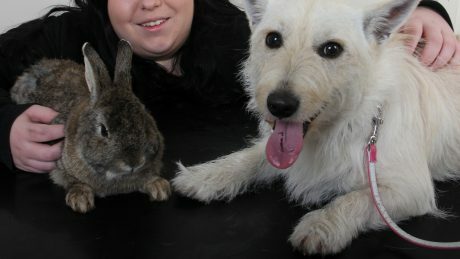 Rabbits normally live sheltered, safe lives compared to other pets like dogs and cats. 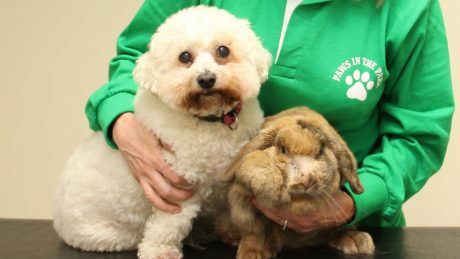 Rabbits are increasingly popular pets in Ireland. People nowadays are under pressure for time, money and space. 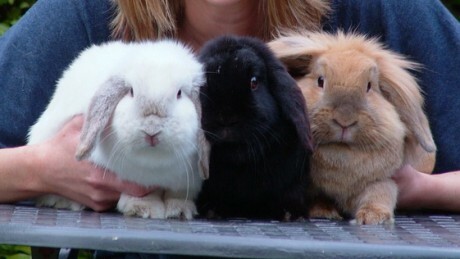 This is Rabbit Awareness Week. 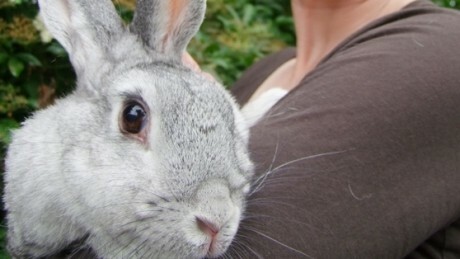 Rabbits are misunderstood creatures and are often accidentally neglected as pets. 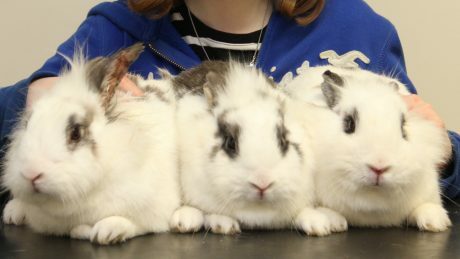 In this week's podcast, four ways of improving rabbits' lives are discussed. 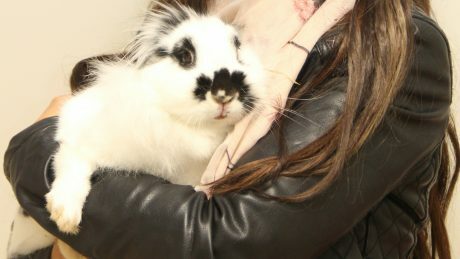 Fifty years ago, rabbits were for eating, not for cuddling. Times have changed, and they are now amongst the most popular family pets. 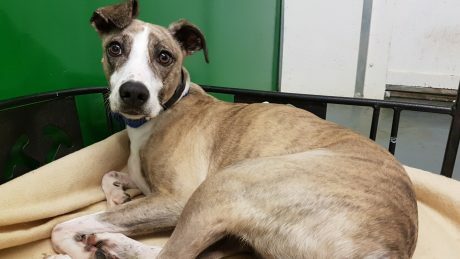 ASH Animal Rescue is in Co. Wicklow. Most of their work involves dogs and cats, but ASH is committed to any animals in need of help. 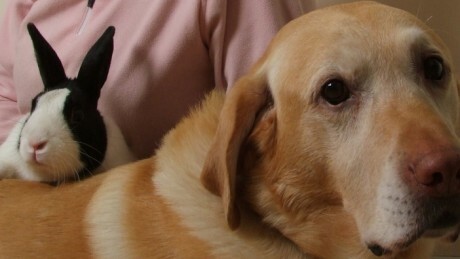 Starsky (a Dutch Dwarf rabbit) and Scout ( a Golden Labrador) who are good friends. 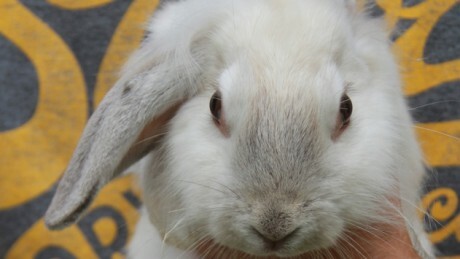 Scout was seven years old when the cheeky rabbit arrived into his home. 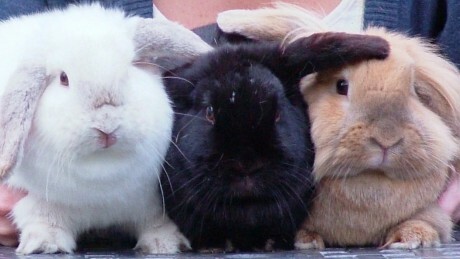 Lily, Jessica and Sahara – their owner was wondering about getting her rabbits vaccinated. Rabbits have featured in Lucy’s life for as long as she can remember. 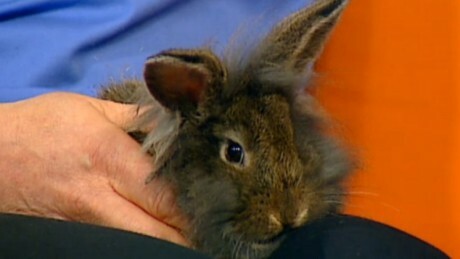 This week on Ireland AM , we discussed two topical Easter subjects: chocolate and pet rabbits.